Building and Construction Trade Unions have a long and proud history. Construction unions were spawned from Guilds or societies of crafts workers that date back more than 600 years. The Guilds ensured integrity and standards ensured product quality. While Guilds were largely employer organizations, the journey level workers and apprentices abided by a strict code of harsh rules and discipline, in order to maintain their place in the economic order. The first unions, by and for the workers, were initiated in the 18th century. These early incarnations of unions were successful in limiting the working hours to 12 hours per day with two holidays per year (Christmas and Good Friday). As industrialization raced ahead in the 19th century so too did the development of craft unionization. Many of today’s affiliate unions to the BCYT-BCTC are themselves charter organizations to larger International unions that were founded in the last part of the 19th century (from the 1880’s through to 1900). Today’s Building and Construction Trades affiliates are active in construction and other industries around the province. While Building Trade unions are most successful in the Industrial / Commercial / Institutional (ICI), Road Building, Pipeline, Bridge, Utility and Hydro Dam sectors, you can also find a significant number of union workers on residential construction sites. Contractors and businesses affiliated to B.C. Building Trades unions account for roughly 35% of the market in the ICI sectors. Skills shortages are a serious obstacle to future economic development. 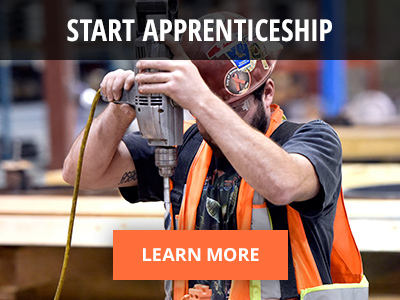 The BCYT-BCTC unions are proud of their record in apprenticeship and training programs for those interested in pursuing a career in construction. 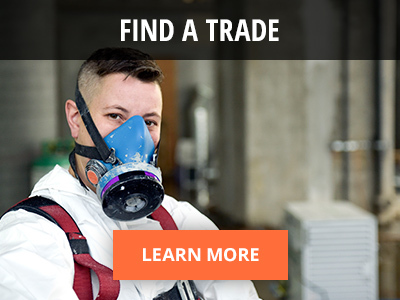 Many of the building trades affiliates fund their own training schools and facilities, and, all affiliates work closely with our employers to expand quality training opportunities. Employment equity has been a major preoccupation for building trades unions in recent years. In conjunction with our employers, we have been able to increase employment of non-traditional sectors of our society. As an example, the recruitment of unprecedented numbers of women and First Nations workers took place during the construction of the Island Highway. The building trades are committed to increase the participation of non-traditional workers in our industry in the years ahead. Construction quality has become an issue of increasing importance. As many as 50,000 individuals have become victims of the scandalous ‘leaky condo’ tragedy. Building trades unions continue to lobby governments at all levels, to take greater responsibility for managing construction markets. The underground economy, fly-by-night contractors, bid-shopping, cheating on materials, ignoring apprenticeship ratios, cheating on mandatory trades qualification, and, a myriad of other corrupt practices characterizes some of the players in today’s residential construction industry. The building trades will continue to campaign publicly and directly with politicians to regulate and restrain the ruthless nature of today’s construction industry.